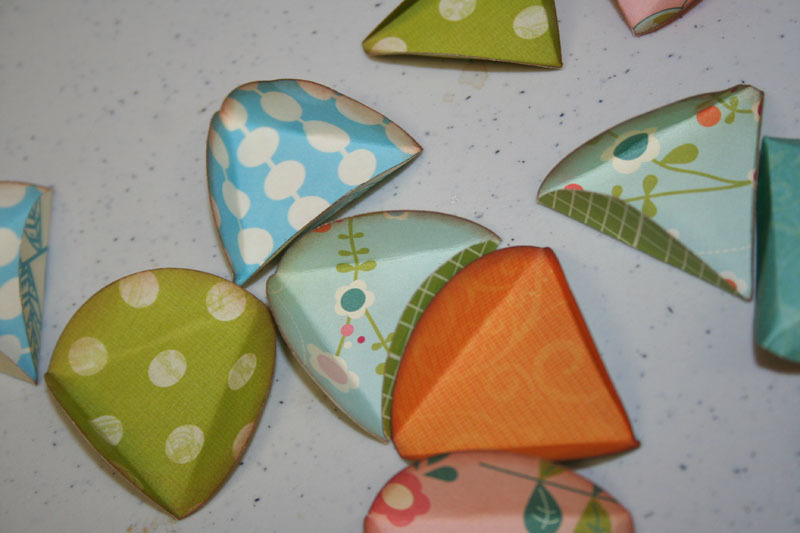 Take your patterned paper and cut 20 circles. (I used my huge circle punch). Then ink all your edges. 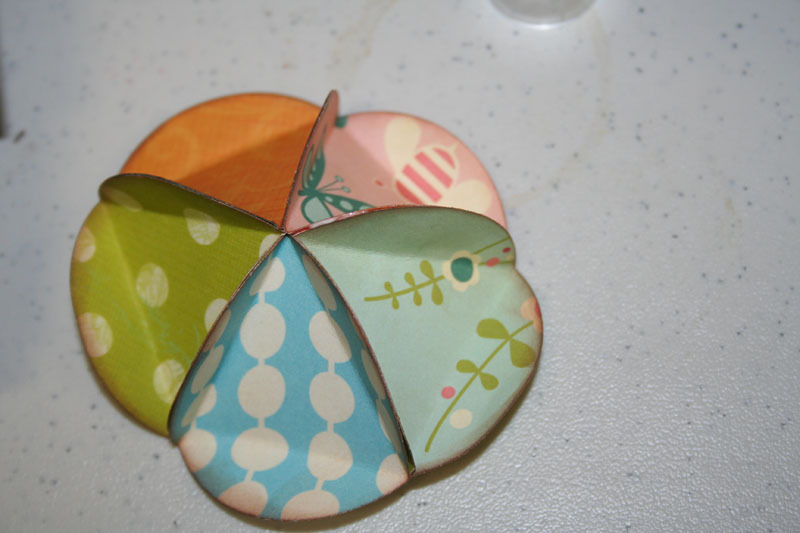 Then you want to fold the edges of each circle up in three places, so that it looks like a triangle with three tabs. To make the top of the globe, take five of your circles. Glue the tabs together so that the five form a ring. Repeat this for the bottom of your globe. 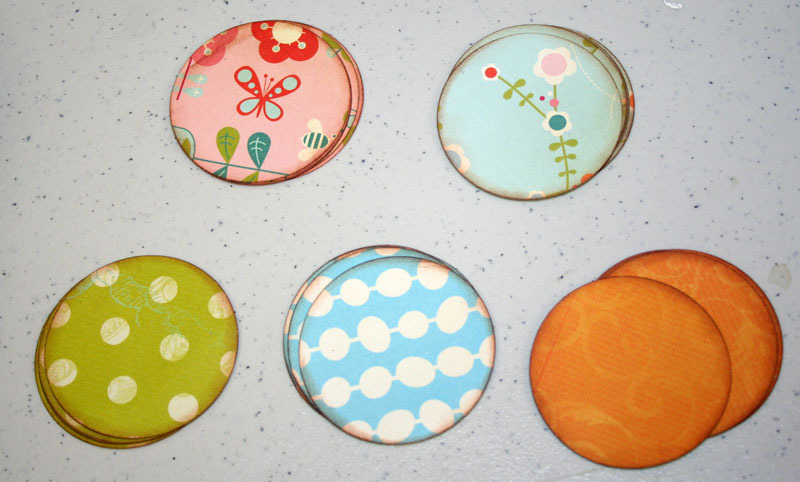 To make the center of your globe, glue 10 of your circles in a line. The “triangles” will alternate pointing up and down, so that you have a straight band. Then glue the end circles together to make a ring. Glue the top and bottom pieces onto your ring. You can stop there, but I used my Chick’N Feed to put a small embellishment in the cent of each triangle. 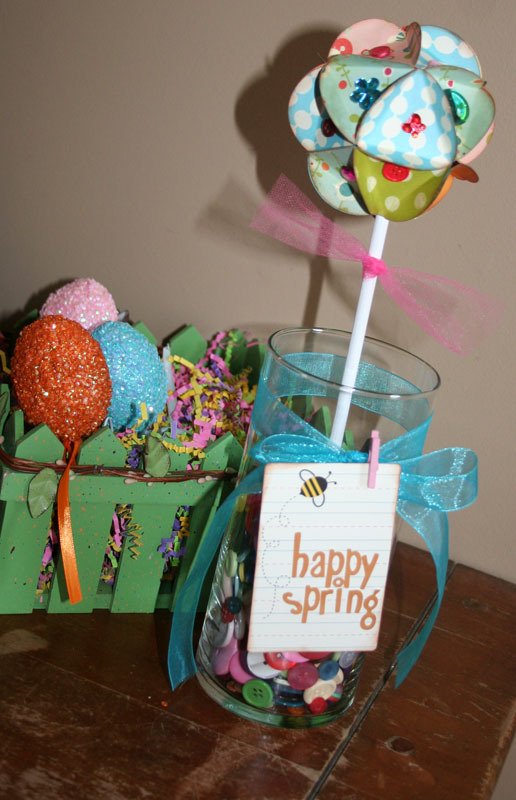 Then I painted a 1/4″ wooden dowel white, filled a vase with more Chick’N Feed, then tied a bow around both the dowel (for leaves!) and the vase! TaDa! You have a paper globe topiary! If you make one, let me see it! Super cute! Love it! Thanks for the step-by-step!